Hello my beloved fashionistas and welcome to my new post! I hope you are having a lovely autumn day and that you are ready to check out what exactly do I got in store for you today. As you all know, the section about shoes shopping, shoes fashion tendencies, trends and more deserves a valid update that I will make sure it gets with the topic of today's post that I am sure you fashion and shoes lovers will most certainly enjoy, soon as this kind of footwear that we will be talking about today is not something I talked about on my blog before. Therefore I hope you will enjoy this article, that you will find it useful and of course share it with others who might find this topic interesting. Today we will be talking about a fashion and styling innovation in the form of height increasing shoes for ladies. I recently discovered Chamaripa shoes, an online store where you can browse, shop and find all necessary information about this kind of footwear. 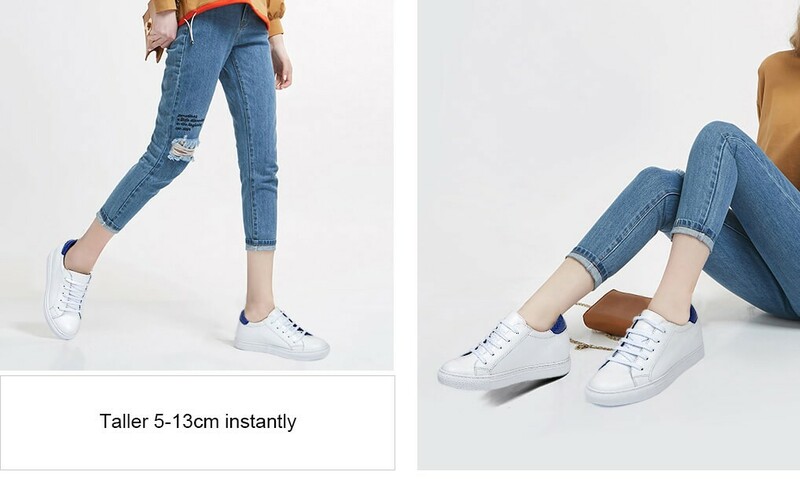 As we all know, women are in love with the height high heels are giving them, but would like to keep the comfort of the flat shoes at the same time. And wouldn't it be great if we would just look a little taller without any extra effort? 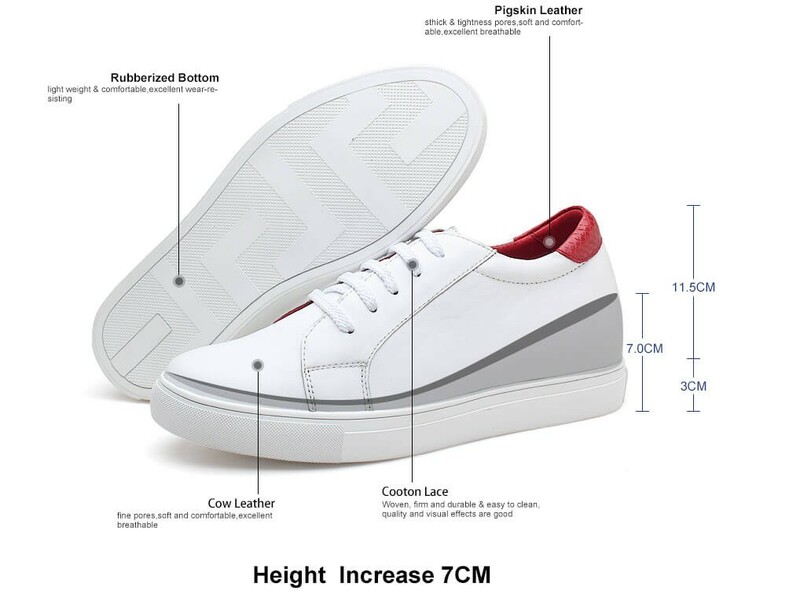 These kind of shoes can help you achieve just that - 5 to 13 cm of height instantly. Elevator sneakers for woman are particularly interesting for me, because you get all the comfort you get from your regular sneakers plus a few centimeters that you usually get from wearing high heels. It's both attractive and practical at the same time. 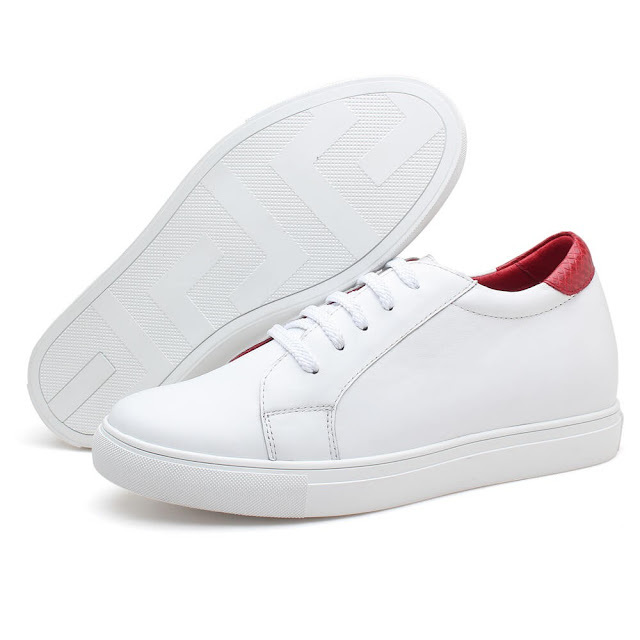 The design I liked the most are pure white elevator sneakers that are actually one of the main trends when it comes to footwear worldwide. All of my favorite celebrities are actually rocking a white pair of sneakers this season. Some of the examples of the footwear I previously mentioned you can find on the photos in this post. 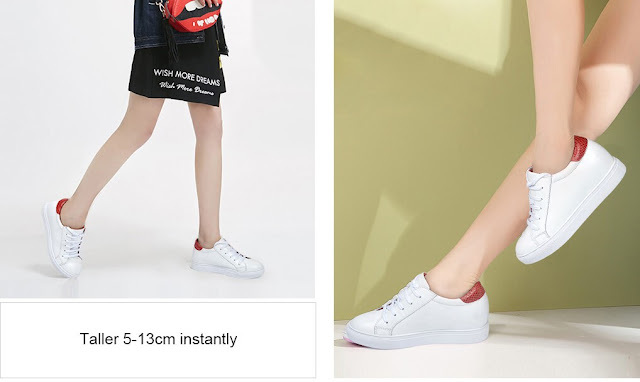 As you can see, height increasing shoes for women seem like just your casual shoes and sneakers and it's really hard to see from the outside that this footwear has a secret to it and that it actually makes you look taller and slimmer. One more thing I wanted to mention about Chamaripa shoes online store is that you should always check for their special offers. Every then and now you can grab on a casual promotion and get your elevator shoes at most affordable price. What do you think about this concept dolls? Did you ever try out elevator shoes like these? If not, would you consider wearing them in the future? What are your experiences with this sort of footwear? Feel free to share your thoughts and previous experiences with us in the comment section.